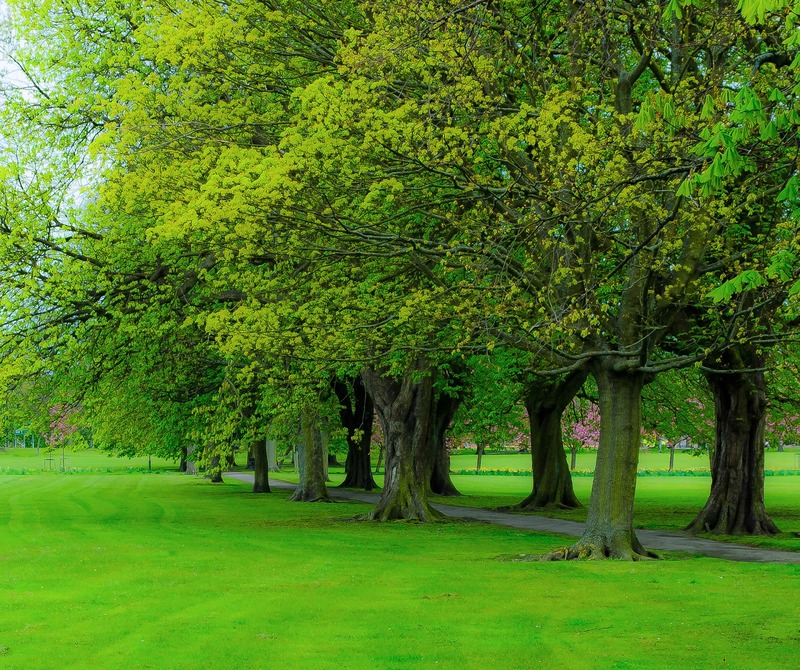 Have you heard the term "green infrastructure" or wondered what it meant? The green infrastructure is basically the structure that supports life. That's why it is essential for communities to maintain, restore, and enhance the functions performed by this green infrastructure (critical environmental, social, and economic). 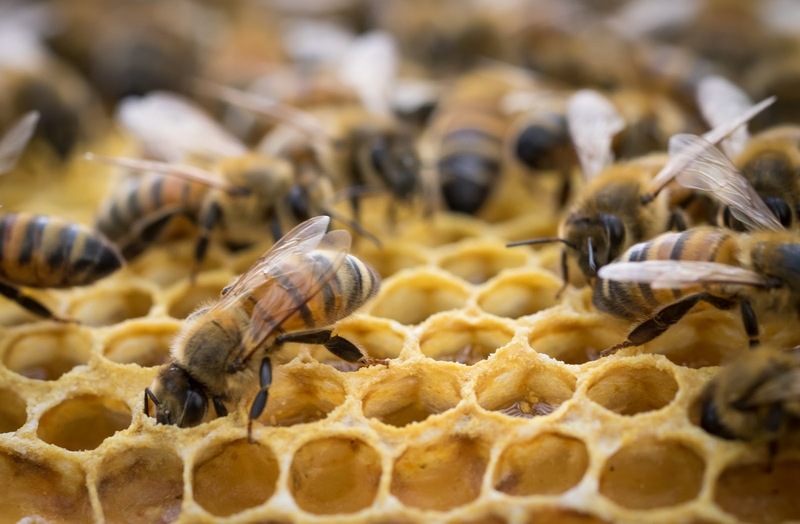 Unlike gray infrastructure, which refers to things like roads, water and sewage facilities, and electrical systems, the green infrastructure needs individuals (in addition to corporations and municipal organizations) to help improve and sustain it. Plant trees. 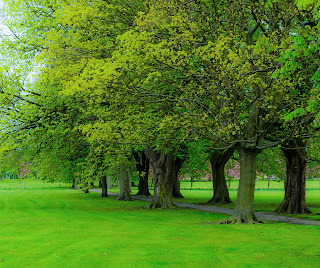 Trees help to improve air quality by absorbing pollutants and releasing oxygen. 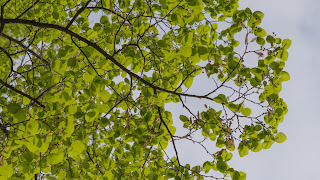 They also improve water quality as rain puddles in the canopy of leaves and releases back into the atmosphere through evapotranspiration. When planted in the right location, mature shade trees can help lower your home energy bills by shading your home from the hot summer sun. Design your garden with native plants that are designed by nature to conserve water and provide appropriate food and shelter for the wildlife in your own backyard. They also help reduce erosion and runoff. Consider a green roof. This type of roofing system uses vegetation to absorb rainwater and reduce heat absorption, thus providing additional insulation for your home. They also extend the life of your roof and improve the air quality in your neighborhood. Plant a rain garden. These slightly depressed gardens hold onto storm water runoff and filter pollutants. Rain gardens naturally improve water quality and protect waterways while adding beauty to your sidewalks. Install a rain barrel. Unfortunately, rain barrels are illegal in some communities. But if you're living in an area where they're legal, rain barrels can improve the green infrastructure in around your home. Water stored in rain barrels provides oxygenated, un-chlorinated water for your plants, which can lead to a thriving garden. If we all do our part, we can strengthen and improve the green infrastructure in our communities. Disclosure: This is a sponsored post. I received compensation and/or product in exchange for my honest review. 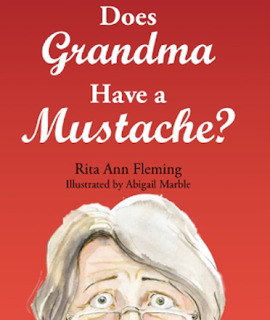 Does Grandma Have a Mustache? is the intriguing title of a new book of poetry for kids by Rita Ann Fleming. And what kid wouldn't want to sit down with their favorite book reader and listen to these poems, many of which tell a story? I know I couldn't wait to read them to my grandchildren after I received my copy in the mail recently. This isn't some flimsy paperback book either. The hardback comes encased in a bright red jacket cover with lovely pencil drawing illustrations on front and back done by Abigail Marble, whose lovely and often comical illustrations are throughout the book. The back cover bears a Grand Parental Advisory which reads: CAUTION! Be ready to spend quality overtime with your grandchildren as they repeatedly request that you read these fun-filled rhymes with them BEWARE! Compelling questions may be encountered! Well, after reading The Toy Trunk on page 12, your grandkids just might start asking you about the toys you played with as a child. This poem makes mention of many of the toys my sisters and I played with when we were growing up. How many of these do you remember? Can the Fairy Find Me? might bring up questions of how mythological beings (like the Tooth Fairy, Santa Claus, and the Easter Bunny) can find them when your grandkids are having a sleep-over at your house. Why an Appendix? could prompt the question, "What is an appendix?" And after reading Escalators, your kiddos might ask, "Are there really alligators living under escalators?" And, of course, there's the age-old question: Do adults really have eyes in the back of their heads. That's what you'll be talking about after reading Eyes Where? I really liked the way some of the poems referenced things in earlier poems. It gave the book a sense of continuity. I'm seldom heard or seen. I'm noticed much at all! Available on Amazon for $17.95, this is a quality hardcover book, perfect for lap time with Grandma or Grandpap. It is also available on the website with a free shipping offer through December 20, 2016. It would be an awesome Christmas gift when coupled with a weekend of games, baking, and reading with your grandchildren. The poems contained within these 106 pages made me smile, chuckle, and tear up a bit (see In the Middle). But at times, they also made me cringe. As a children's book editor, I never seem to be able to remove my editor's hat while reading. My virtual red pen is always uncapped and ready to mark up the pages. Unfortunately, there were several places in this collection of poetry that had my red ink flowing. While the rhyme and meter was spot on for most of the poems, there were a few with forced rhymes that didn't work for me and a few with missteps in the meter. I could overlook that, due to the quality of the poetry in the rest of the book. However, I could not ignore misspellings, as they are inexcusable to me. In particular, on page 36, the word somersault is misspelled summersault. Cringe. There were a couple of punctuation errors/typos as well, which had me begging the question: What kind of editor did Fleming hire? Examples: Instead of "We" on page 93, it reads "Wwe." There is a missing end quote on page 63 and a missing period on page 69. And, even though she does it correctly throughout the rest of the book, there is a period outside the quotation mark on page 44. Am I being nitpicky? Perhaps. But like I said, I'm an editor and I just can't ignore mistakes other editors should have corrected. On page 100, Fleming writes: "There's rules to put your toys away." It should read, "There are rules..." Perhaps she was using creative license for the sake of meter, but I hate teaching children improper grammar. It's just a pet peeve of mine. Above all the errors, there is one that, to me, is inexcusable. In the poem, Mulberry Street, Fleming alludes to many books by a well-loved children's author. It's a cute poem. But the last line reads, "Thank you, Dr. Suess!" Seuss is spelled wrong and I wanted to cry! Hopefully, since pointing out the errors, Fleming will be able to have them corrected for future orders of the book. I can only hope so, because for me, I would have rated the book more highly had it been free of these grammatical, spelling, and punctuation errors and typos. Because I have a reputation to uphold as an editor, I couldn't post a review without pointing them out. But I did thoroughly enjoy this book overall and I hope you will give it a chance. It's rare to find poetry books of this quality in children's libraries these days. I recommend putting this book on the shelf to be read again and again! I read something encouraging today in a local paper. Apparently, cursive writing is making a comeback! And it's about more than just ensuring our kids and grandkids can read historical documents and generations-old correspondence as they get older. After realizing the mistake they made by eliminating cursive from their curriculum, more and more schools are going back to teaching it. Why? Because of the unforeseen benefits. Apparently, writing in cursive helps in brain development, memory retention, and fine motor skills. Those who developed the Common Core education standards failed to realize that handwriting instruction improves children's composition, reading comprehension, brain function, and motor skills, as mentioned above. According to a 2012 study by Saperstein Associates in Columbus, Ohio, students who are taught handwriting are better able to focus and organize their thoughts on paper. Excellent. Here in Pittsburgh, one school district eliminated cursive instruction due to the Pennsylvania Core Standards. With focus on typing and test-taking, there simply wasn't time to teach it at Montour. However, last year, they resumed teaching it to the kids in first through fourth grades. During the 2014-15 school year, North Hills School District, where my own kids attended, joined the ranks of other districts resurrecting the dying skill after research demonstrated the benefits of looping, continuous writing style. 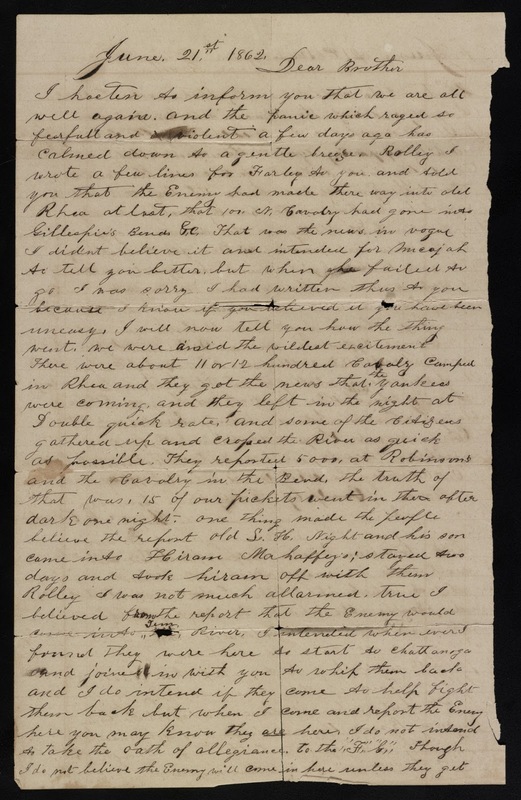 "Cursive is a special kind of motor challenge because the goal is to put all the letters together of a word with very little lift and touch (of the pen)," states Rand Nelson, president of Peterson Directed Handwriting. "Each new word is like a brand new magic trick." 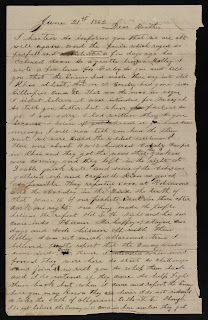 While cursive writing is not a required course in Pennsylvania (shame on them), it is required in Alabama, California, Georgia, and Louisiana. The Goddard Schools, specializing in early childhood education and STEAM learning nationwide, teach cursive with the Handwriting Without Tears program. So, despair not, fellow cursive advocates. Our voices are being heard and research is backing us. I predict cursive handwriting to become part of the "new" curriculum in every school district in the not-too-distant future. I'm curious, however, about all of you homeschoolers in the community. Are you teaching cursive to your youngsters or do you believe it's an irrelevant practice? Tell me your thoughts in the comments below. Who says you can't go home again? To help relieve some of the pressure of what I've been calling "The Worst Summer EVER," I'm planning a trip back to my hometown. 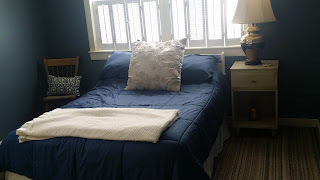 I'll be staying with my friend, Dawn, who graciously transformed one of her bedrooms into "my" room, using furniture from my mom's house after she died so I could find a small piece of "home" whenever I needed it. 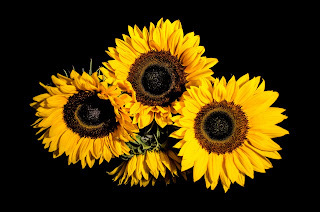 Throughout the past three years, Dawn and her husband have warmly welcomed me into their home time and time again. It's a lovely home in the country surrounded by lovely vegetation, birds, flowers, and even an inground swimming pool. The subdued colors of the home create a peaceful oasis, whether indoors or out. This, my friends, is exactly what I need right now. As my Manheim family is dwindling, I want to go there and spend some time with my remaining relatives. So I'm looking forward to that as well. And I might even throw in a trip to the beach with my cousin. While my initial plan was to have a fair amount of alone time, it looks like my schedule is filling up with people time instead. And that's okay. I'm just in need of some healing time and I'm counting on the magic of time away to provide me with exactly that. Wish me well. I'm hoping to come back revived and ready to face the fall. When it comes to issues affecting the health of our families and the environment, there is way too much bad news. 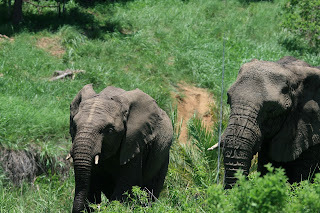 But today, on Thursday's Truths & Tidbits, I have some good news to share about elephants -- you know those big, gray animals that are hunted down like, well ... animals ... just for their ivory tusks. It's so sad when a magnificent animal is gunned down for trophy or, in this case, for something like ivory. So here comes the good news -- the Obama Administration has issued the final piece in a series of regulations to significantly limit the commercial ivory trade in America. The states most affected due to having the three biggest state ivory markets are California, Hawaii, and New York. The legal ivory trafficking in the U.S. is all but over with this near-total ban. Of course, that won't stop illegal poaching and trafficking, but it's a start. It's an acknowledgement by the government that what has been going on throughout the decades is unacceptable and punishable by law. If I were an elephant, I'd be trumpeting loud and clear. 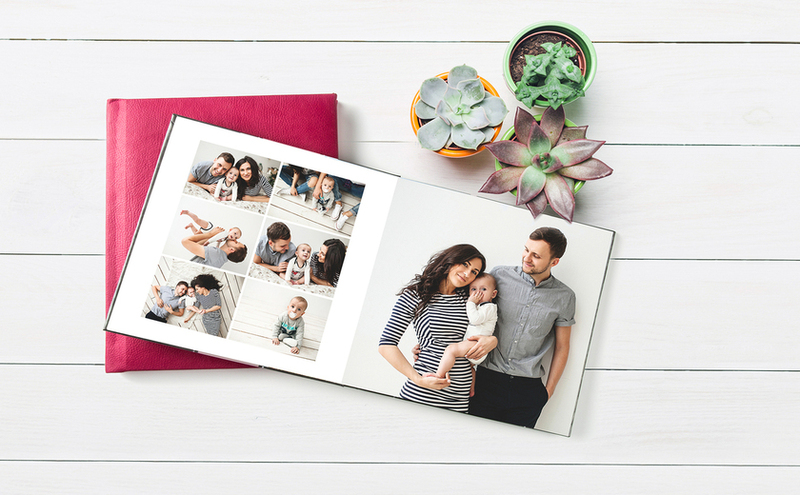 AdoramaPix's custom books are high quality and display your images in rich detail. Choose from gorgeous linen, hardcover, and leather covers as well as 6 stunning paper finishes. 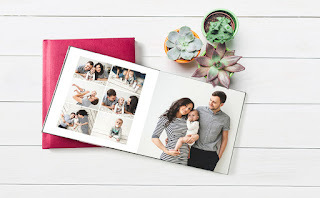 Stop swiping and start printing your family memories with AdoramaPix photo books! that was sent to me to review. Yes, this is a sponsored post and I received product and/or compensation in exchange for my honest opinion. you've just downed your coffee in your travel mug in the carpool line and your kiddo's principal comes out to your car to speak with you. your spouse comes home early for some "play time" while the kids are at school and you've just finished a garlic roll. you're in line at the grocery store and your high school crush saunters in and spots you. you are meeting your spouse's boss for the first time. you're at a party eating all the wrong things and you realize you'll stop eating once you freshen your breath. you wake up feeling amorous (keep a bottle right by the bed). 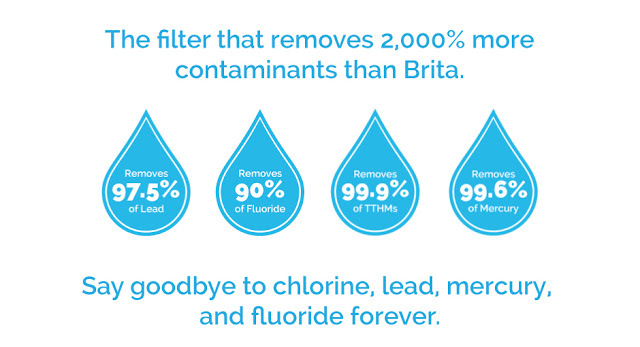 your mouth feels gross and brushing your teeth isn't an option. Oh, the list goes on and on. There are countless reasons why you need a breath freshener on hand. 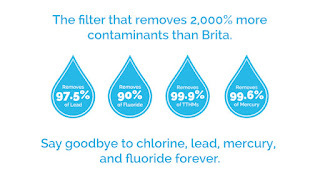 And countless reasons why you don't want to resort to the commercial ones that may be full of toxins. That's why you really need a bottle or two of Moondani on hand. Seriously. 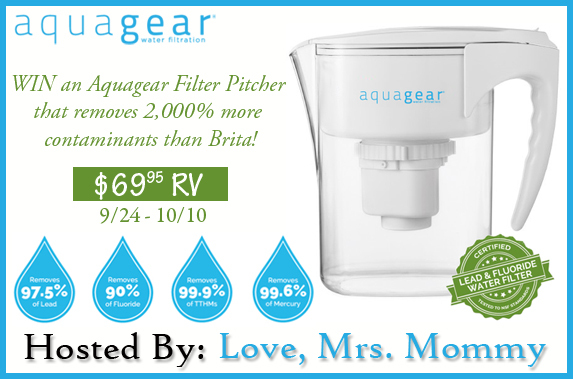 The mint flavor is refreshing and it's effective against bad breath odors. There are no additives, no preservatives, no alcohol, and no sweeteners. Plus it's vegan and cruelty-free. And it's Made in the USA in Bloomingdale, Illinois. By the way, did you know that the word 'moondani' means 'everlasting' in Farsi? Cool. 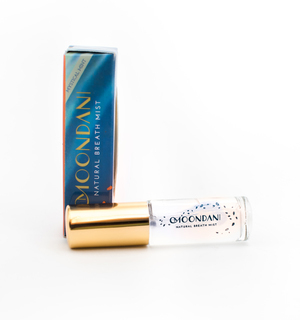 While one bottle of Moondani is $12.99, you can nab TWO bottles for just $2 more at $14.99! But wait, why not trust my opinion on this and go for a FIVE-pack for $30 or a TEN-pack for a mere $56.25?! Moondani Natural Breath Mist gets Green Grandma's Two Green Thumbs Up Award this week. I love it and so will you! 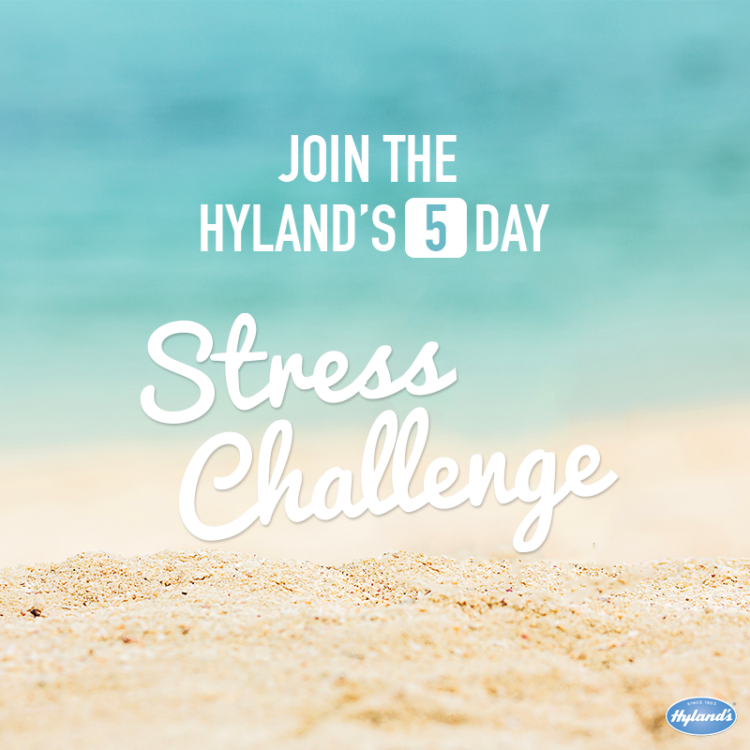 Thank you to Hyland's 5-Day Stress Challenge for sponsoring this post. 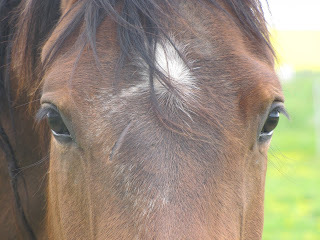 Twenty-six years ago, I was thrown from a horse and broke my back in two places. That alone would cause a fair amount of stress, but when adding in my circumstances at the time, the stress barometer hit an all time high. You see, I was widowed one year before and was raising two small children alone. Not only that, I didn't have any family living close by to help. As a matter of fact, my mother lived closest to me at 250 miles away. Not a good time in my life. Sometimes when I'm extremely stressed, I try to look back to that year and am comforted somewhat in knowing I survived. The stress did not win. I did. How about you? Do you ever look back on your life and think, "Wow. How did I ever survive that?" This past summer was one of my worst. The previous months included several deaths of family members and friends. The deaths continued throughout the summer months, with the latest being my aunt on September 8th. Enough! My husband's heart attack on June 4th threw us off in many ways. Like I said, it was a bad summer. My stress levels have been through the roof. Normally, I spend time out in nature to de-stress, but quite honestly, for the majority of the summer, it was just too hot. I was indoors in the air conditioning more often than not, and I missed my usual summer time spent on my back porch watching the birds, butterflies, squirrels, and deer. That certainly added to my lousy summer. Now, as I look forward to fall, the weather remains oppressively hot (mostly because of the humidity). "Cut me a break!" I want to scream at no one in particular. Yes, I'm stressed and grouchy. 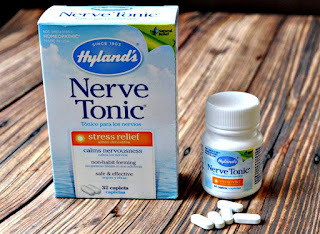 However, I would be even more stressed and grouchy if it weren't for a couple of my favorite Hyland's Homeopathic items. For instance, I've been taking some of their Calms Forte to help me sleep at night. During the day, I occasionally reach for their Nerve Tonic. Both products work to lighten my mental overload. They help me to relax. And since they're natural and homeopathic, I'm not polluting my body with pharmaceutical remedies. I wish I could take comfort in knowing that more than 70% of Americans suffer from stress, but I don't. I wish I were in the minority here. Hyland's recognizes the problem and wants to help. 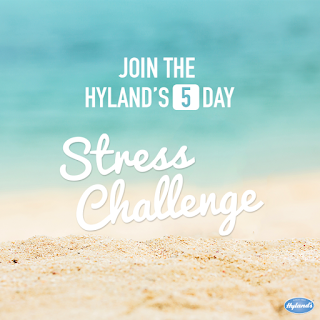 On Monday, September 26, 2016, they are launching Hyland's 5-Day Stress Challenge. There are going to be some great prizes for 1,000 participants Monday through Friday that week. Click here to join in the challenge and learn new ways to effectively deal with stress. Be sure to follow Hyland's on Facebook, Instagram, Pinterest, Twitter, and YouTube so you can keep up with the daily challenges! So... how do you stress less? When it comes to my grandkids, what causes me to worry? While I'm no longer a worrier by nature, there is something that concerns me. More and more children are being injured or killed by furniture that tips over. Quite honestly, this wasn't even something I gave any thought to when my children were young. But now, with my grandchildren, it's a concern. And apparently, a valid one. 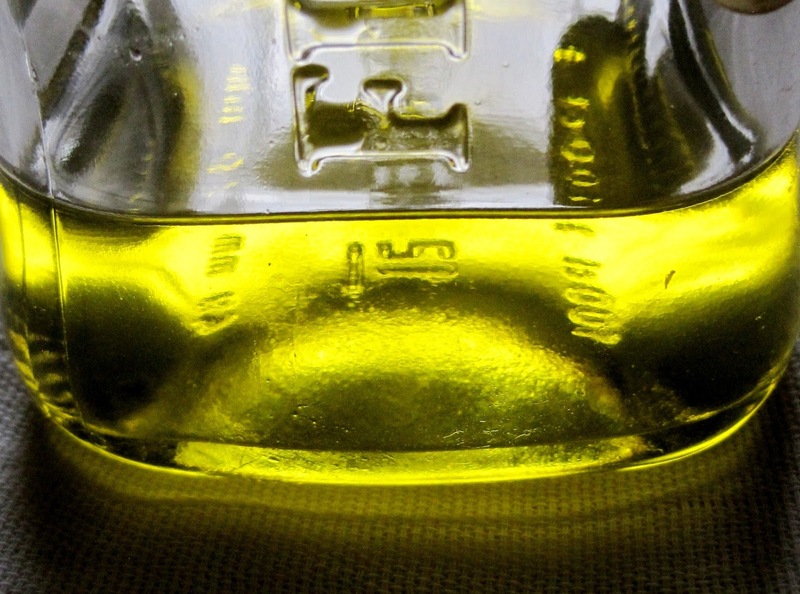 Two-year-olds are the age group most affected by tip-overs, and most are likely to be killed. We're constantly hearing about furniture recalls AFTER a child has been seriously injured or has died. But what about the ones that have yet to be recalled? 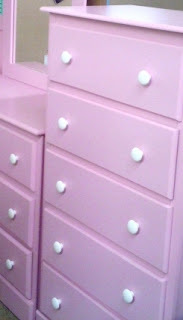 Kids in Danger (KID) put a sample of 19 dressers and chests through stability performance tests. The sample chosen for testing represented dressers and chests commonly found in children's bedrooms. The testing was conducted at the UL Furniture Center for Excellence in Holland, Michigan and was based on the current ASTM-International furniture safety standard, followed by new testing protocols developed by KID. The new tests were designed to be more representative of real-world scenarios, including foreseeable use of furniture by kids and the stability of dressers that contain clothing. The additional testing was also to see what additional margin of safety some units may possess. What did the testing reveal? Widespread non-compliance with current voluntary standards as well as to additional typical use scenarios those standards do not address. The weight of as television or anything placed on top of the unit did not decrease the stability of the furniture. Based on the findings of data and testing, KID recommends increasing consumer awareness of the danger of furniture tip-overs and knowledge of the actions needed to keep children safe. You can do your part by sharing this post with other parents. They also want to see improved furniture stability, accomplished by strengthening standards, making those standards mandatory and enforceable, and promoting changes in furniture design. According to KID executive director, Nancy Cowles, "Better designs, stronger standards and enforcement of the standards are needed. We urge furniture manufacturers to look for design solutions to unstable furniture. The top performing units in our testing had innovative designs including a wider base, interlocking drawers, or heavier back panels to increase stability." The CPSC's #AnchorIt campaign emphasizes the need to attach furniture to a wall with a tip restraint. Of course, easier, tool-less tip-over restraints would increase the likelihood that parents would take action to ensure that safety of their children, but these have yet to be developed. Further research is needed. Lisa Siefert, founder of Shane's Foundation, said, "This project is an important step forward proving the current safety standard falls short. Going forward a stronger standard, in addition to manufacturers using safer designs for increased stability, is necessary for keeping children safe." U.S. Representative Jan Schakowsky adds, "Parents should have peace of mind that furniture in their home is safe, but today's voluntary safety standards are insufficient, putting children at risk. We need stronger rules and better compliance to prevent tragic accidents from furniture tip-overs. The furniture industry must act to improve safety, and the CPSC and Congress must hold the industry accountable." It is my hope that by publishing this post, more parents, grandparents, and caretakers will be made aware of the risks to children in our homes. Please, please, please, don't let one of your precious little ones become part of these tragic statistics. 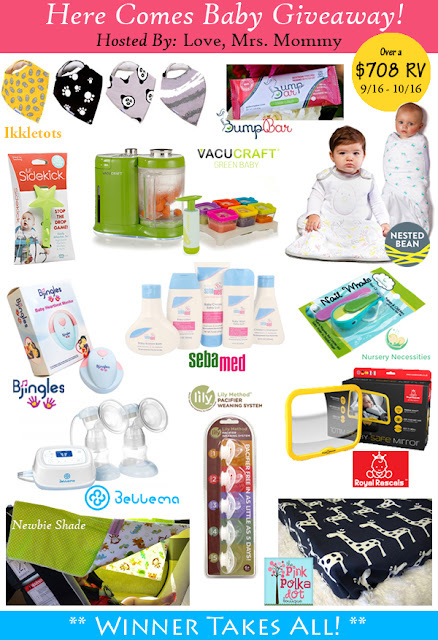 I just love participating in awesome giveaways. And this giveaway is as awesome as it gets. Just check out what you could win! Thursday's Truths & Tidbits: What to do with all that mail? I decided to reinstate some of the old Green Grandma features, like Review it Wednesday and Thursday's Truths & Tidbits. I hope you'll find these posts useful and relevant to your everyday life. Today, we're talking mail and the environmental nightmare it has become. 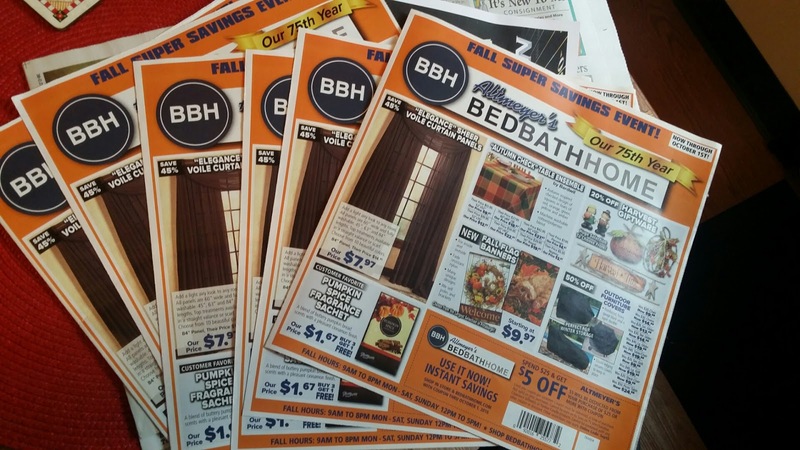 Do you ever want to scream at your bulging-at-the-seams mailbox filled with junk mail? Granted, junk mail is better than bills, but that's another topic altogether and I don't want to go there. What to do? What to do? We considered taking them down to the post office and plopping them down on the counter, demanding an explanation. But they'd probably just shrug and we'd be wasting our time. We thought about letting Altmeyer's know because, after all, it was their money that was wasted. But then we wondered if they'd even care. One thing was certain: we cared. And it bothered us immensely. What would you have done? Anyway, this takes us back to today's topic: What to do with all that mail? Paper soiled by food or grease will compromise the other paper in the recycling bin, so please discard it in the trash. Because we're a little bit concerned about privacy, we do rip off or blacken out our names and address before recycling. Shredded mail compromises the fiber of the paper, so it is usually not accepted in the paper recycling bins. In addition to recycling your unwanted mail, there are also ways to reduce how much you actually receive. You can opt-out of mailing lists by contacting companies and asking them to remove your name from their list. While that is most effective, you can also click here to sign up to reduce your junk mail. As far as bills are concerned (I know, I wasn't going to mention them), you can always switch to online billing or automatic payments directly from your bank. That, at least, will cut down on some of the more unpleasant things lurking in your mailbox each week. That's it for this week's Truths and Tidbits. Like I said, I hope you found it useful.